The 2019 Toyota Avalon is the sharp, bold, and fierce cousin of its predecessor the 2018 Toyota Avalon, and we’re not exaggerating! For this model year, Toyota gave the Avalon a much needed exterior redesign, and critics and consumers could not be more excited about its new appearance. Never again will this full-size sedan be seen as safe, subdued, and dowdy. With the 2019 model year, the Toyota Avalon has shed this legacy and begins a new era of aggressive design elements. But design isn’t all the 2019 Toyota Avalon has to offer. Onboard the Avalon, drivers will find unmatched entertainment and safety technology, as well as an impeccable interior design with all the luxury features drivers crave. And the best part? Most of these incredible features are offered as standard on even the base trim of the 2019 Toyota Avalon. If you’re looking for a full-size sedan with bold styling, high-tech entertainment and safety features, and luxurious touches, the 2019 Toyota Avalon may be the ideal car for you. And did we mention it even has Hybrid options? The features of the Avalon truly get better and better, so let’s dive deeper into what makes this sedan truly special. For the 2019 model year, everyone is talking about the complete redesign of the Toyota Avalon. From the exterior, the 2019 Toyota Avalon is nearly unrecognizable from the 2018 Toyota Avalon. And while some critics wonder if this redesign was too extreme, most have responded positively to the new changes. But, what’s so different about it? For starters, the front-end has been completely redesigned. It is more bold, aggressive, and certainly eye-catching. Previously, the Toyota Avalon featured a somewhat dowdy two-part grille, however, this has now been replaced with a larger, more prominent one-part grille which is further enhanced by its dark black color and sharp lines. Through the entire body of the vehicle, edges and lines that were previously smooth and subdued are now sharp and bold. Overall, the 2019 Toyota Avalon offers drivers surprisingly bold design elements throughout the interior and exterior of the vehicle. This full-size sedan is sure to be the crowd favorite out of its class for the 2019 model year. These features are typically safety technology options that are only available, not standard, among other sedans on their highest trim level. However, the features listed above are all included on even the base model, XLE, of the 2019 Toyota Avalon for no additional cost. Overall, the new Toyota Avalon is as safe as it is bold and stylish. XLE (available in Hybrid): Standard entertainment features on this model include a 9-inch touchscreen display for its Entune 3.0 multimedia system with App Suite, an 8-speaker sound system, USB charging ports, Bluetooth, and WiFi Connect powered by Verizon. XSE (available in Hybrid): The XSE trim enhances the Avalon’s already impressive entertainment suite by adding wireless charging and an available 14-speaker sound system with a subwoofer. Touring: The Touring trim comes standard with the 14-speaker sound system and subwoofer, as well as navigation and Engine Sound Enhancement with Active Noise control. Also, known as ESE and ANC. Limited (available in Hybrid): The Limited trim lets consumers drive in sheer luxury with its leather seating, heated leather steering wheel, genuine wood interior trim, and 8-way power adjustable driver and front passenger seats. As noted above, the XLE, XSE, and Limited trims also come with the Hybrid model option which will increase the sedans efficiency and eco-friendliness. However, we’ll discuss the Hybrid model of the 2019 Toyota Avalon more in-depth in the tab below. Overall, the trim levels of the 2019 Toyota Avalon provide incredible technology, luxury, and efficiency, while making it easy to customize your vehicle. If you’re looking for unprecedented efficiency, you’ll find it with the Hybrid options of the 2019 Toyota Avalon. If you’ve decided to go with the 2019 Toyota Avalon Hybrid, you’ll have to purchase either the XLE, XSE, or Premier trim. The Touring trim does not offer a Hybrid model. In choosing the 2019 Toyota Avalon Hybrid, drivers can experience an incredible 43 MPG in the city and 44 MPG on the highway. These are amazingly efficient options and are sure to save you plenty of cash at the pump in the long run. Thankfully, upgrading to the Hybrid option is surprisingly affordable! Once you choose your desired trim level, upgrading to the 2019 Toyota Avalon Hybrid will only cost an additional $1K. Which is quite fair, especially considered all of the standard features that go along with your now more efficient Avalon. To sweeten this deal, it is estimated that consumers who purchase the Hybrid model over the non-hybrid model will see about $700 in fuel savings per year since the Hybrid is rated almost 20 MPGs greater than its non-hybrid counterpart. Powering the Hybrid models of the Toyota Avalon is a 245 Volt Nickel-Metal Hydride battery. For 2018, the holding area for the battery was moved from the trunk to under the rear seating to allow for additional cargo space. This is a change that was quickly noticed and appreciated by consumers and critics and further solidifies the success of the redesigned Toyota Avalon. Drivers looking for the ultimate in power should note that upgrading to the Hybrid model does decrease the performance of the Avalon slightly. With the 2019 Toyota Avalon Hybrid, consumers can expect up to 215 hp instead on the non-hybrid 301 hp. However, these are still impressive stats, especially for a hybrid vehicle. Overall, the Hybrid model of the Avalon is perfect for the driver looking to prioritize efficiency at an affordable price, while still experiencing the luxury, technology, and space this full-size sedan has to offer. Whether you’re looking for something luxurious, practical, or powerful, you’ll find it at Joseph Toyota. 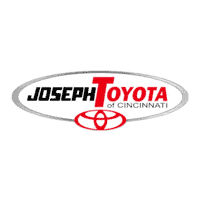 From customer service to financing and maintenance, each team at Joseph Toyota truly functions as one unit to give the ultimate car-buying experience to our loyal and new customers. From new and used vehicles to certified pre-owned and leased vehicles, we have the inventory to fill your every automotive need, and the service to make it happen quickly and painlessly. With Joseph Toyota, you won’t have to sacrifice premium customer service for a premium vehicle. Instead, you can have them both. We strive to ensure that each customer that comes on our lot leaves happy, informed, and satisfied with their experience, whether or not they choose to purchase a vehicle. If you’re looking for a one-stop dealership that will take care of you from pre-purchase questions to post-purchase maintenance and repair, you’ve found the right dealership with Joseph Toyota. So, don’t put off purchasing your next vehicle any longer. Visit our website or come see us in person to see what we have to offer, today!